Work for AWS Elemental MediaConnect? Learning about AWS Elemental MediaConnect? We can securely share live video streaming with the powerful encryption mechanism.Which is only can be shared with the allowed clients.We can control the our video distribution through the platform.Also with the quality of the platform, we can easily deliver high-quality videos even in a dependent networks.We can transport video from another AWS Elemental MediaConnect or on-premises . High quality deliver ensured by the Real-Time Transport Protocol and other industry standard protocols.Also if we can share and revoke the access anytime.We can choose whether we use MediaConnect with other AWS services or as a stand-alone platform service. With the AWS Elemental MediaConnect platform , Actually I do not have any cons regarding this. But there are some areas which can be improved with the platform. 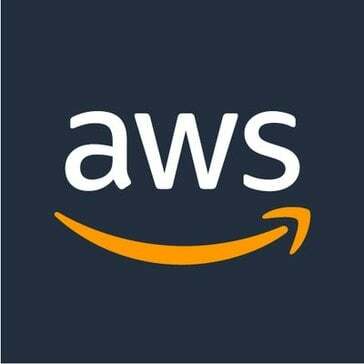 Improvements should based on agility of the platform.Surely AWS have potential to do that task without any disturbances. MediaConnect gives initially organize execution measurements and also Communicate standard cautions distinguish issues with transport streams, so we can change configurations to augment the nature of our video work processes. The administration screens stream execution and recuperates naturally without administrator intercession.Can easily find out potential customers with the cloud.Essential service for a live TV channel.Also,it is a very cost effective and efficient than using satellite or fiber optics technologies. "My new way of broadcasting"
as of now I didn't encountered any problem. I'm still on the process of navigating myself and familiarizing to the whole product because this product give me everything I need and in every demand from my clients and viewers. "This product was easy to use and worked well for our needs "
My favorite thing about this product was how easy it is was to access as well as for others to access from outside of our healthcare network while still being secure. It is also great that it could be accessed at any time. Due to having been a “user” of the content and not a creator, I feel I likely didnt have enough usage to encounter something to dislike. Perhaps if I were one creating content it would be different. My company worked with independent healthcare providers to provide better value based care rather than fee based care. Due to this, there are many metrics that have to be met by each provider. This platform helped the independent physicians communicate with one another in regards to what is working or not working via video. It is great for users to get on at any time to view so “meetings” don’t have to be held. So far, so good! My company uses this to upload videos for the employees or future employees. The quality is amazing, but of course I wouldn’t expect less from Amazon. It is so easy to make and upload the videos and you can easily store them in iCloud, to send out in the future. Another nice feature is that you can stream live, although we do not use that just yet. I have yet to find anything that I dislike. The ease of this is through the roof! I have not run into any issues whatsoever. Contacting amazon IF there is an issue, is very easy and effective as well! As stated above, AWS Elemental MediaConnect is extremely easy to use. You will not regret at minimum, trying it out. Sending out videos to the team is fast, easy, and always secure. For those who use the live stream feature, it is a huge plus. You can get online and stream right away. "Very Effective for Video Transferring "
The security encryption embedded into the product allows for use of confidence without having to worry whether the shared files will be compromised. Video uploads/streams have been seamlessly done thanks to the reliability of the product, which makes it a joy to use. Only used it for a month or so when I was attempting to break into video production. I have not really found any issues where I am bothered to the point that I can recall. Maybe the learning curve at first is a bit confusing, but I managed to get over it in a couple of weeks. Maybe make it more known to people. It isn't a service/product that many know about. Storing important media files on a cloud where they can be easily accessible without having to worry about keeping a physical location secure. "Happy with AWS. Will recommend"
Industry grade security is one of the main reason why my clenterprise has stood with AWS mediaconnect for few years now. We work a lot with streaming and AWS has helped us a lot with streaming services. I have also used VLC in the past.The best thing about this software is that it allows you to view the video along with editing the video such as its dimension, color, zoom capacity, geometry of the video. At times AWS media connect iant very user intuitive. AWS Elemental MediaConnect has allowed content owners to send their live content into the cloud, and transmit it to partners for distribution or replicating one source to multiple destinations. It has saved us a lot of time and therefore helped in cost reduction. The software is hard to understand for someone who does not come from a Tech background. I personally do so was not that hard for me but explaining things to colleagues is difficult. Streaming media to and from endpoints cheaper and more reliably. "Great Cloud basted Transport Service for Videos our Company uses"
Ease of use, GUI is user friendly, great for hosting videos used on websites or demos given without having to setup the complex hosting in house. Business video hosting and delivery to customers by cloud based service provider, meaning less IT work on the back end of doing it in house. Aws elemental media connect is perfect for live streaming of videos of any events like sports, concerts,festivals etc. This provides high quality with less satellite costs and highly reliable due to secured streaming for broadcasters. The performance of the video is slow sometimes. That’s not a big issue but I hope this can be improved by time. Editing and streaming the videos of oncampus sports events with aws platform is really easy and great. I love the ability to connect to various media sources. Much more user friendly that datorama. "Using data storage for company confidential information"
I dislike how I needed a lot of help and guidance. It’s not user friendly unless you know exactly what you are doing. I can focus more on the creativity and production, rather than how am I going to get this out to the masses. The best thing is it allows to share and multicast streaming of any live event remotely. Having access to the features in the Cloud is so important. Trying to keep up with the changes in the cloud platform. Make sure you know its the right solution for your company. Moving and editing video within the AWS platform is great. "One of the best cloud services "
I like how easy it is to use. I find it very useful for our particular business needs. * We monitor all AWS Elemental MediaConnect reviews to prevent fraudulent reviews and keep review quality high. We do not post reviews by company employees or direct competitors. Validated reviews require the user to submit a screenshot of the product containing their user ID, in order to verify a user is an actual user of the product. Hi there! Are you looking to implement a solution like AWS Elemental MediaConnect?